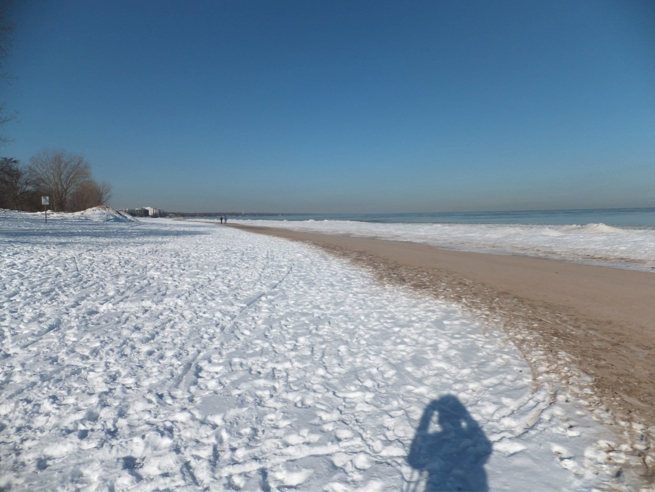 The following post is the third installment of an ongoing series here at the Backyard Geographer documenting seasonal ice formations on Lake Michigan. For parts 1 and 2, see this post from early last year. 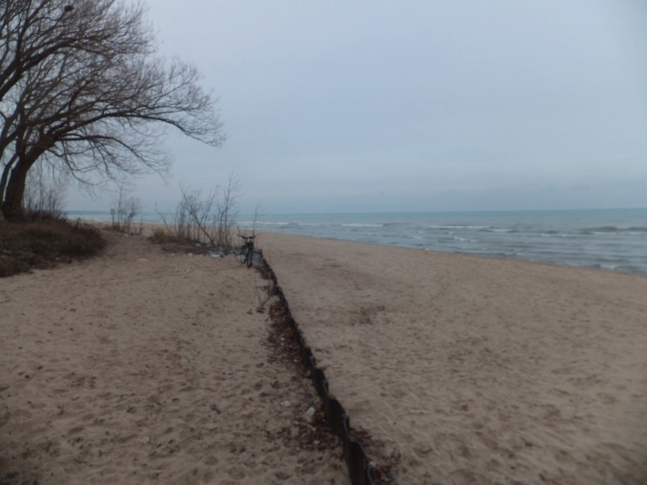 No shore ice this season by December 19. 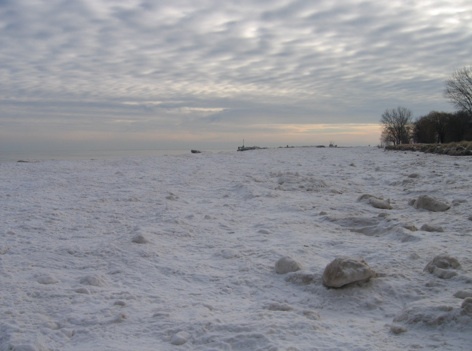 Compare this to the hundreds of feet of shore ice on this date in 2010 (see photo in Part 2). 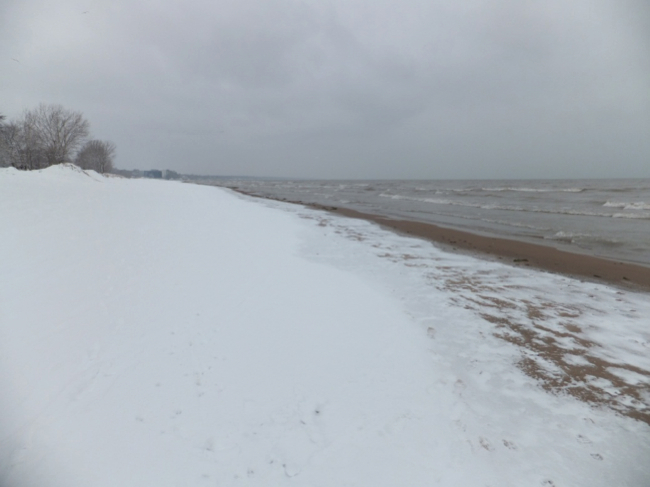 Chicago’s record-breaking, 290-day snow drought ended on December 20th but it wasn’t until December 25 that a lake effect event blanketed the lakefront in white. Note that there is still no ice on the lake. 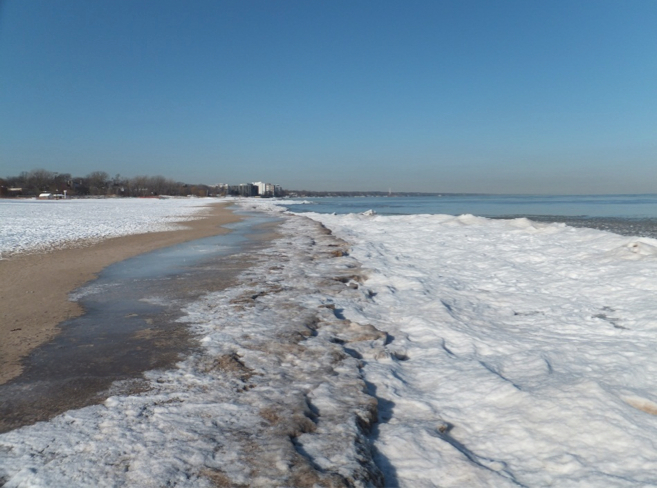 Following the warmest year on record in Chicago, the first shore ice of the season has just formed after an extended period of night temperatures below freezing. Note that the same narrow band of exposed shore sand shows in this picture as well as in the one above. 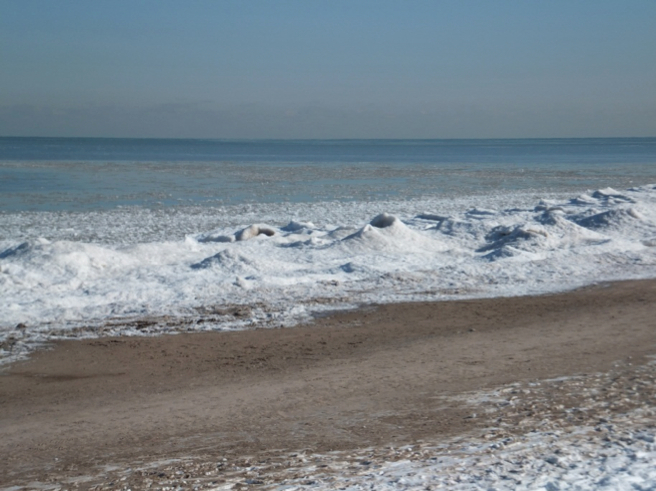 This photograph shows the interface where lake ice is freezing to the shore. The shore ice so far this season is only tens of feet wide compared with hundreds of feet wide in past seasons at this time. Collections of ice volcanoes are forming in the narrow shelf of shore ice. 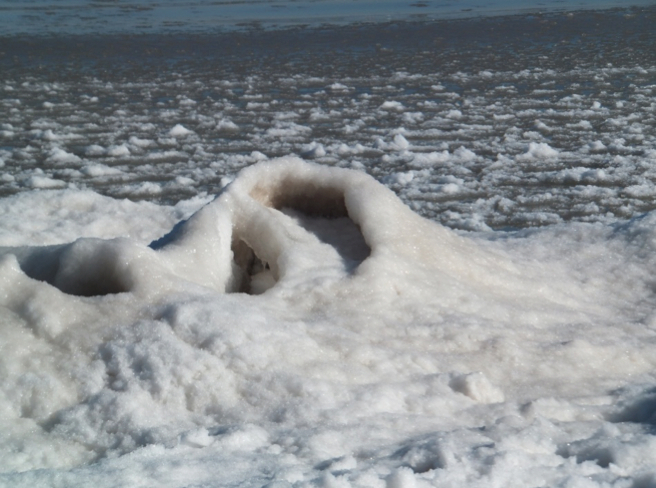 Details of one ice volcano and slushy floating ice that help form the ice shelf along the shore are visible.